"Experience the richness of life at every step"
"Ask yourself, how much envy can you endure? Neither wealth nor influence will bring them back again"
"An incredible life at an incredible height"
"You don’t just invite friends over. You invite awe"
"Not many people wake up to river views and open greenery every day. Will you be one of the chosen few?" "Wake up every day to a spectacular view of the blue sky romancing the sea. Come home to beach side joys"
"Why go anywhere else on weekends?" "That’s what we call life!" "Where your dreams meet reality"
"Raise your lifestyle to the next level. Club house at 46 feet. Podium garden at 56 feet. 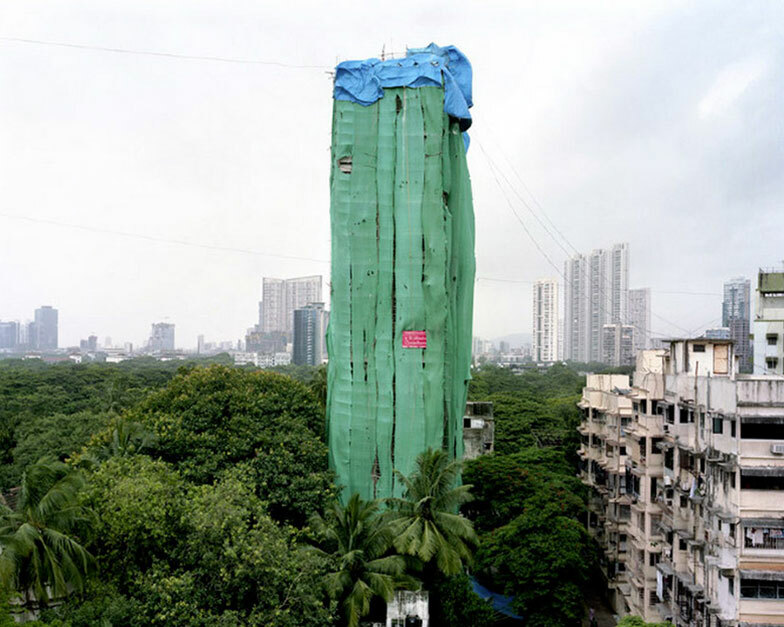 First apartment at 70 feet." "If your tastes match with the President of France, we have just the right home for you"
"Limited edition amenities for an unparalleled lifestyle"
"Rooftop pool. Rooftop Jacuzzi. Rooftop lawn. As for the moon consider it complimentary"
"Other homes have works of art. 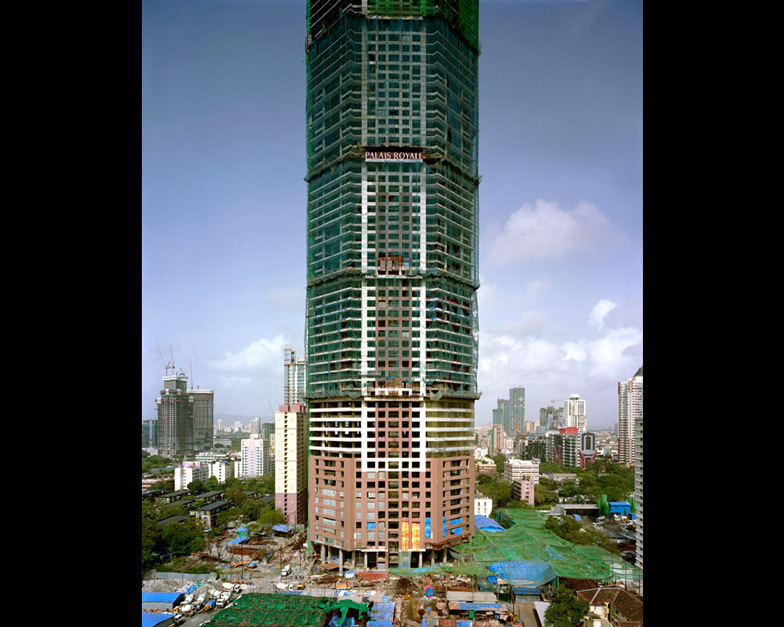 Yours is one"
Photo essay: Polish photographer Alicja Dobrucka has produced a series of images documenting the rapid growth of skyscraper construction in Mumbai, India (+ slideshow). 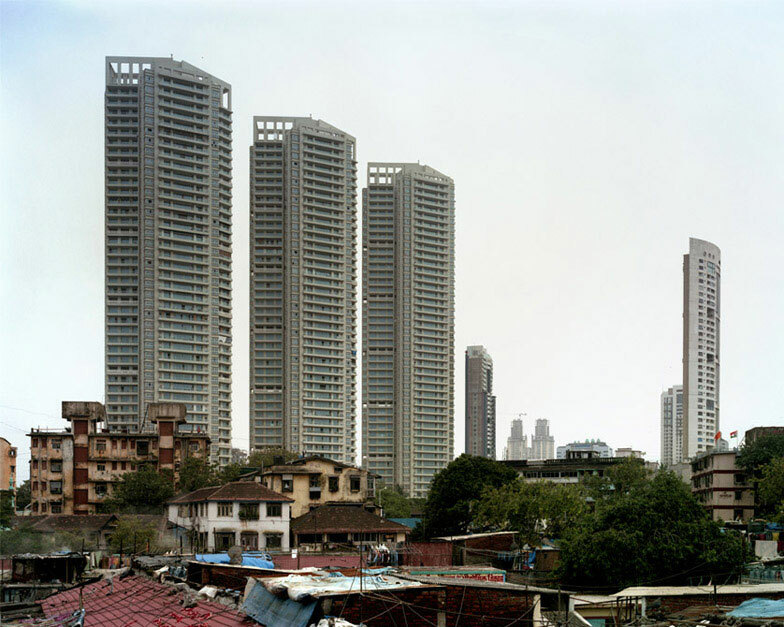 According to Dobrucka, there are currently more skyscrapers under construction in Mumbai than anywhere else in the world, many of them unregulated, adding to over 2500 high-rise buildings that already exist in the city. 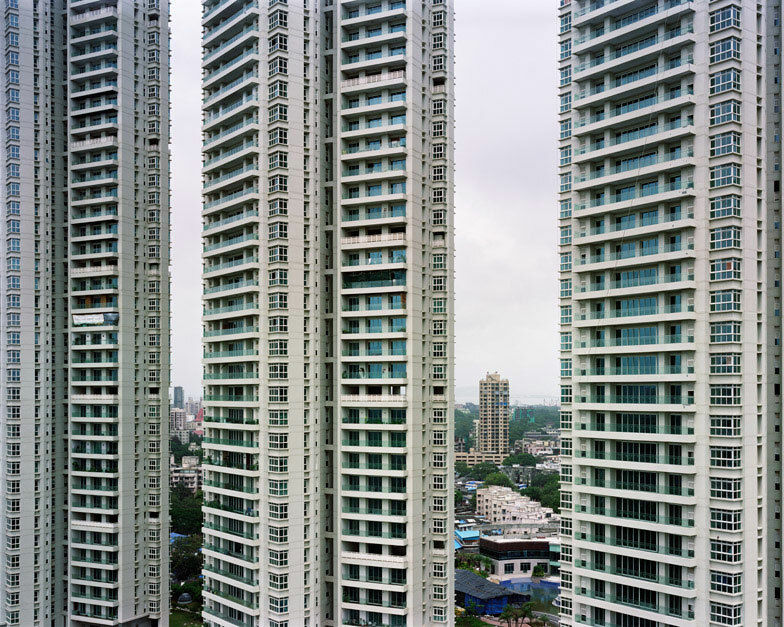 These luxury apartment blocks are in stark contrast to the surrounding "desolate slums", which the photographer says account for 62 percent of the population. 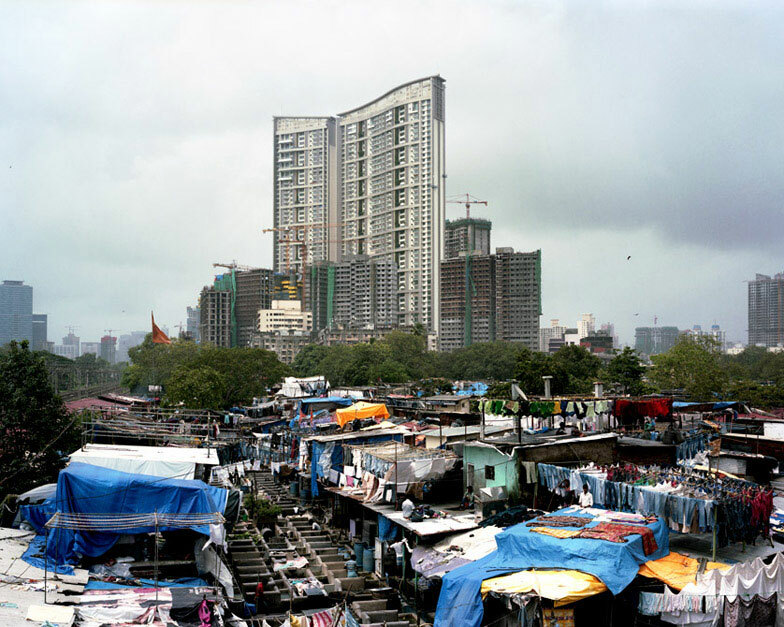 The Life on a New High series depicts a selection of these new buildings and their surroundings, and couples each one with a quote from a property advert, highlighting the disparity between the new high-end consumer and the slum residents. 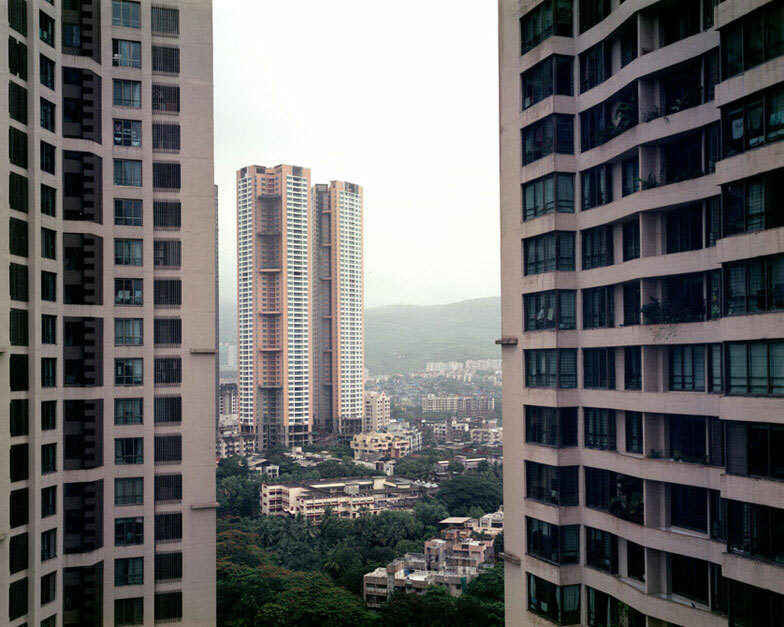 Mumbai is currently home to the largest number of supertalls and skyscrapers under construction in the world. 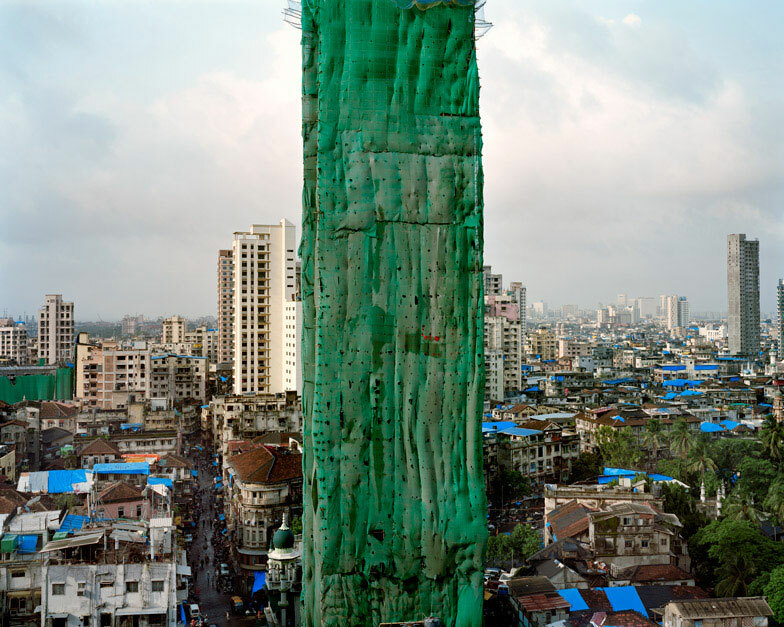 This project, entitled Life on a New High, aims to address the issue of the changing landscape and unregulated construction in this financial capital of India. 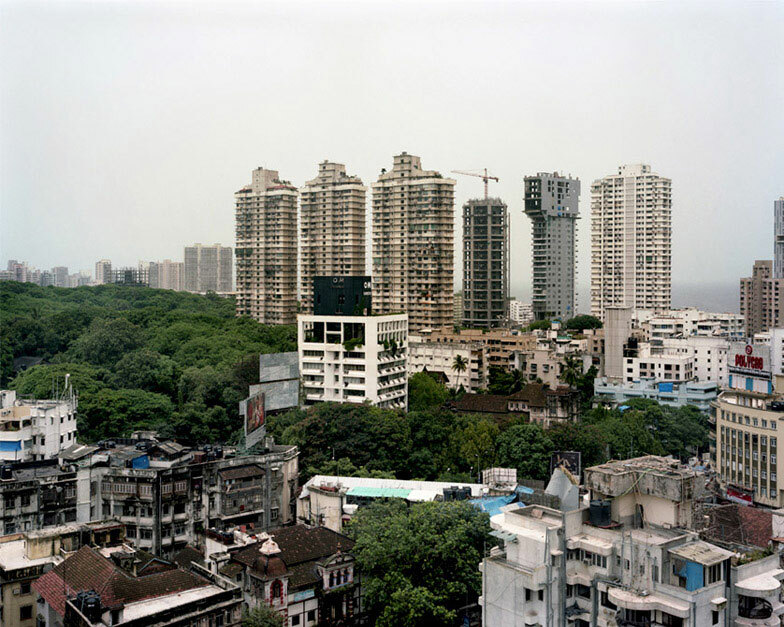 The city is undergoing a massive construction boom, with more than 15 supertalls (buildings taller than 300 metres), hundreds of skyscrapers and thousands of high-rise buildings under construction. 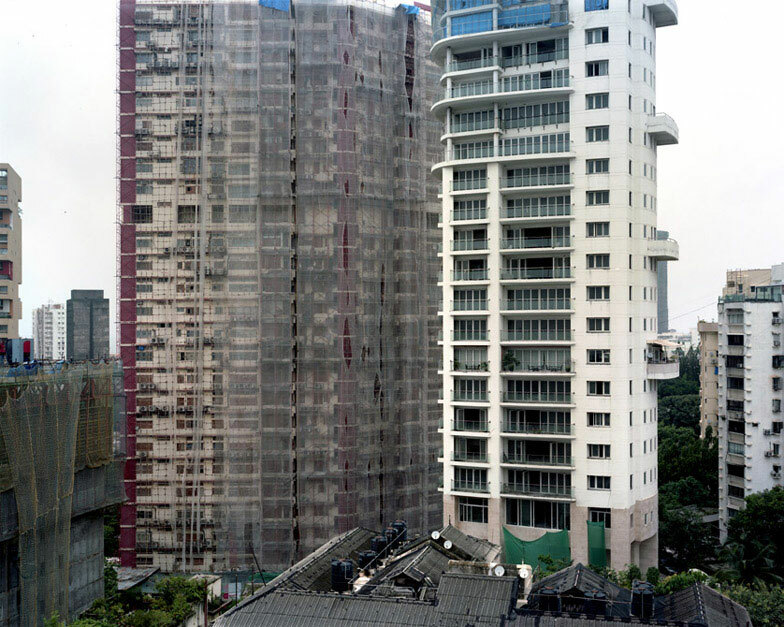 More than 2500 high-rise buildings are already constructed, in addition to more than a thousand mid-rises existing already. 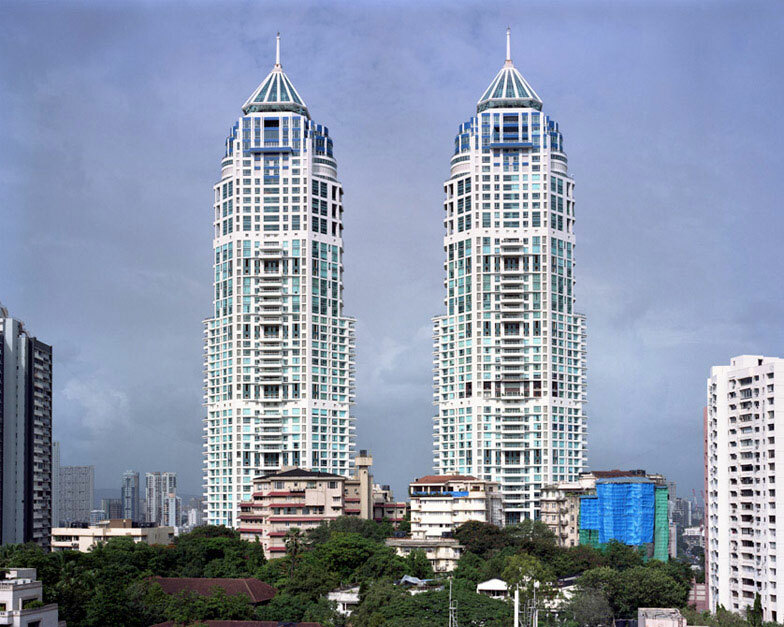 Most of the skyscrapers are residential. Even the richest man in the city lives in a skyscraper. 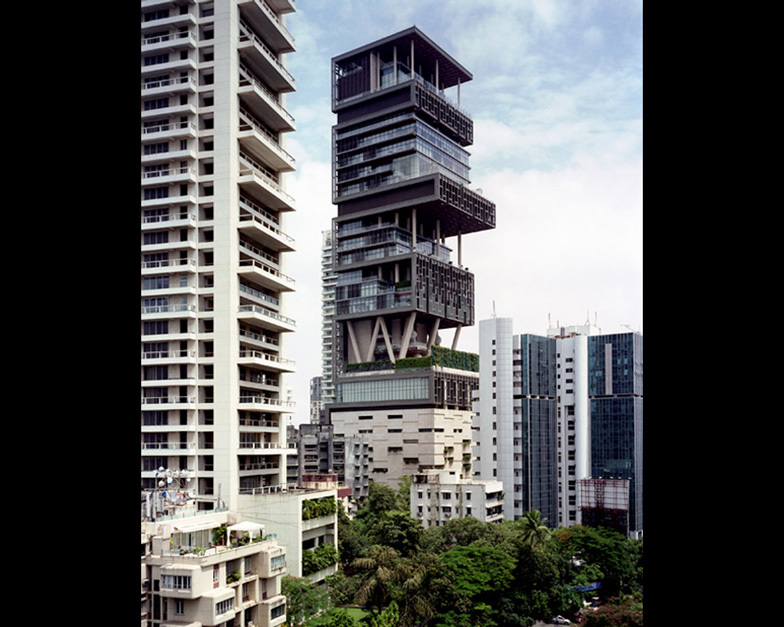 Antilia is one of the taller towers in which 27 floors accommodate a family of four and 200 servants. 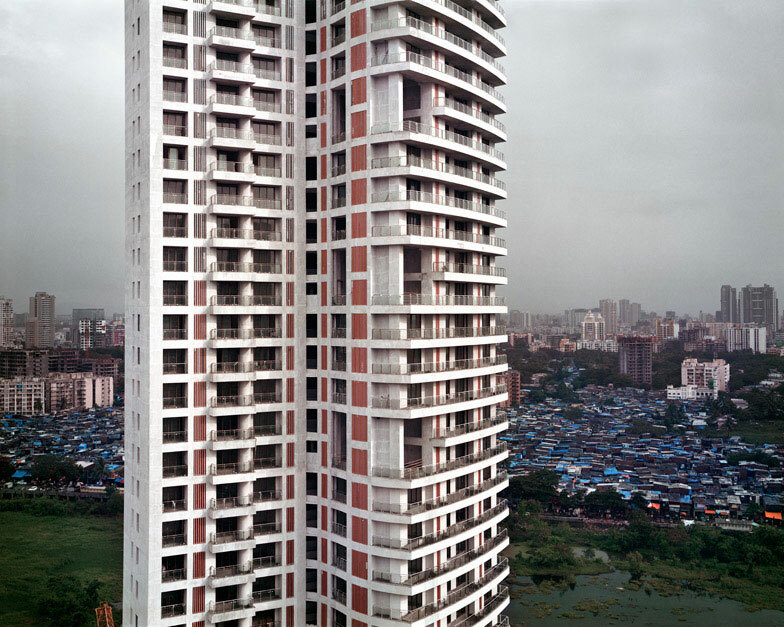 The population density is estimated to be about 20,482 persons per square-kilometre. The living space is 4.5 square metres per person. 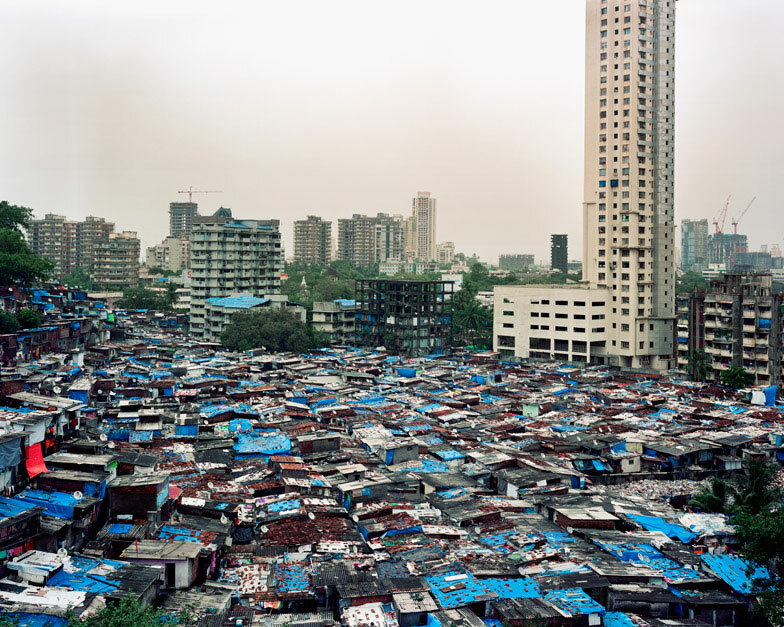 The number of slum-dwellers is estimated to be nine million, that is, 62 percent of all Mumbaikers live in desolate slums. 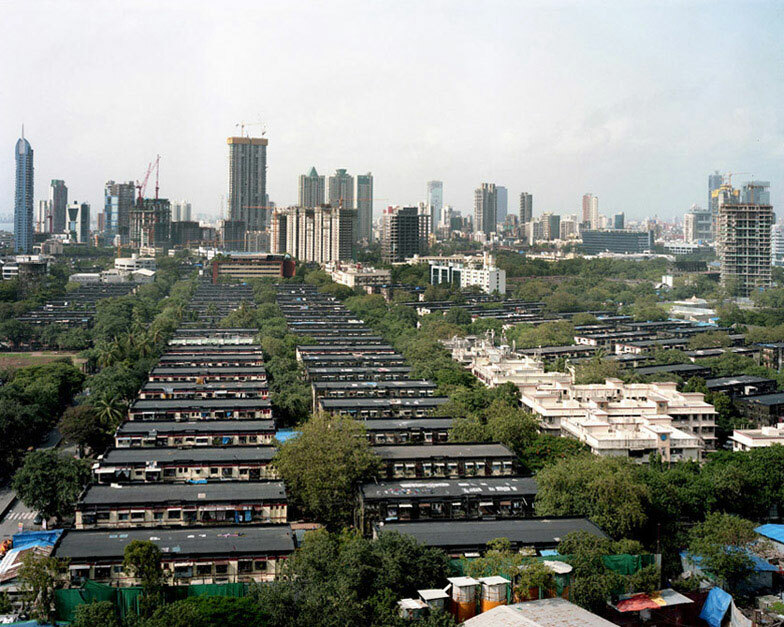 There is no centralised urban planning and towers keep popping up in all areas of central Mumbai, particularly on the huge pieces of land that accommodated textile factories now closed, as well as in the suburbs. The building companies are supported by the government and are given tax exemption. 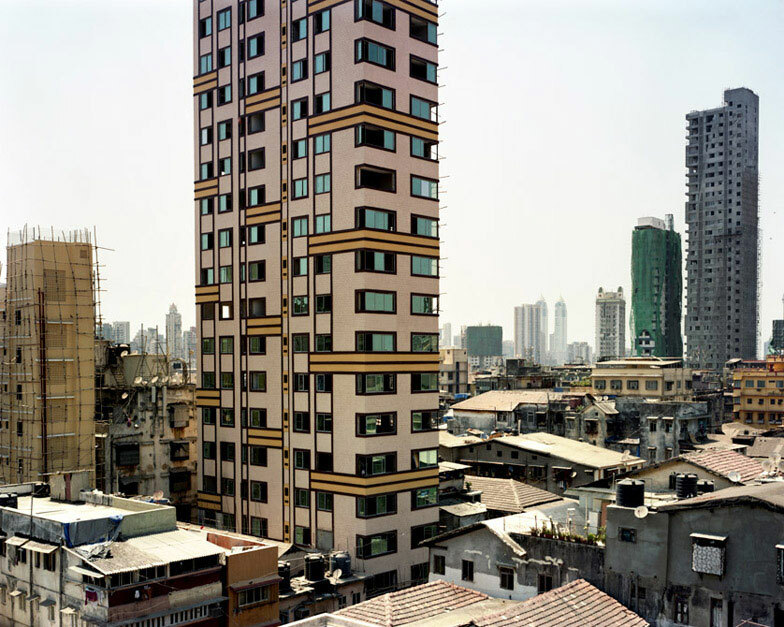 All the skyscrapers are constructed by international companies, in many instances from Denmark. 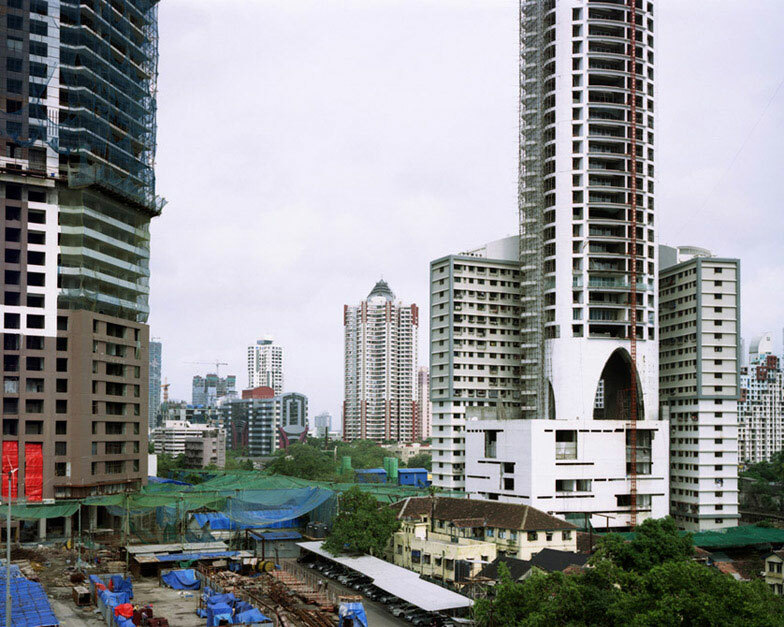 The architecture of the new risers has no relation to the Indian cityscape - European architecture is being transplanted to India, transforming this country in the process. This building boom creates a great deal of problems and makes the city difficult to negotiate on foot. It is also damaging to the environment as the large glass windows require air conditioning, which in turn increases the consumption of electricity. Advertising agencies appeal to the newly rich, the up-and-coming middle class, using slogans such as: "You don't just invite friends over, you invite awe". 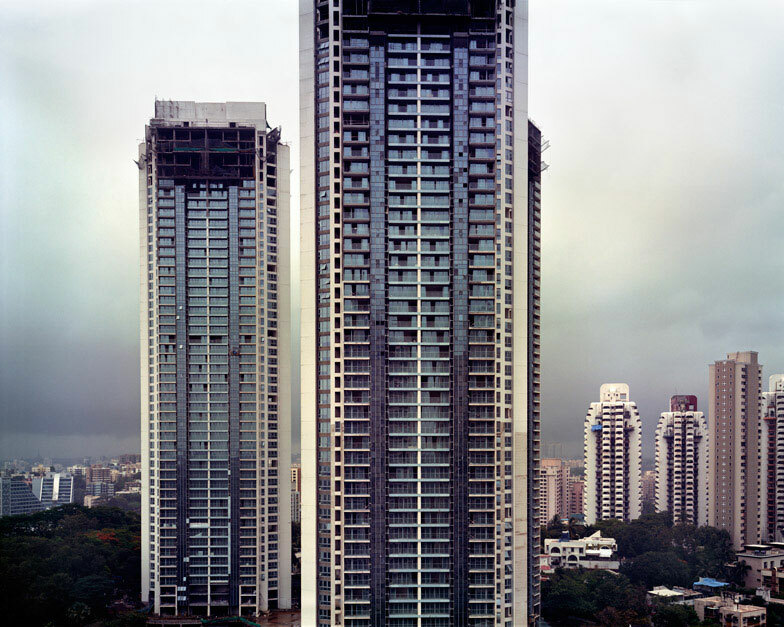 The new Indian luxury consumer is pursuing a lifestyle where owning an apartment in the "newly builds", as much as possessing exclusive items, is seen as a clear sign of wealth and power.